A sea change is underway in long term care. To tackle this important subject, we bring you a three-part series of articles on the future of home health care. Part Two looks at the rapidly growing home care industry and finds that many health aides don’t have the training or skills they need. 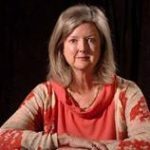 Journalist Barbara Peters Smith wrote this series as a John A. Hartford Foundation Journalist in Aging Fellow, participating in a broader fellowship program supported by New America Media and the Gerontological Society of America. This article first appeared in the Herald-Tribune (Sarasota, FL) in May 2013 and is also posted at the New American Media website. It’s reprinted here with permission. Many families plunge into the mysterious universe of elder home care after a hospital stay—often an unexpected one. Shortly before it’s time to go home, the patient or a relative typically receives a brochure for the hospital’s recommended home health agency, with a brief discussion of the limited rehabilitation services Medicare will cover. But the family often does not realize that visiting nurses who replace catheters or therapists who monitor exercises are not much help when it comes to what recently hospitalized elders need most: assistance in bathing, dressing or just moving from bed to chair to bathroom. And they don’t know that their search for these services could involve crippling costs, expose them to the potential for elder fraud and immerse them in a fast-growing industry where many workers lack the training and skills needed for safe and reliable caregiving. Part 3: Are Robots the Answer? While most Americans—89 percent in one survey—say they would prefer to age in place in their own homes, few understand the implications of opening those homes to strangers who can provide the help they need. And surveys show that very few Americans consider the price tag in advance. With baby boomers expected to live longer and be even less capable of covering their own home care expenses than today’s elders, state and federal governments are seeking solutions on a grand scale. Rarely publicized pieces of the 2010 Affordable Care Act include Medicare inducements to limit hospital and nursing home stays in favor of home health care. The law also has funded experiments in delivering that care more efficiently. “I think the base of political support is there for expanding and improving in-home care,” says Larry Polivka, executive director of the Claude Pepper Center at Florida State University, which studies aging issues. He believes we will see “essentially a doubling” of the share of elders who remain at home instead of moving to nursing homes or other facilities. No one knows what the new system will look like, and many specialists on aging believe the effort to redesign home health care is happening too quickly. But Bruce Chernof, president of the SCAN Foundation—a California nonprofit that promotes aging with dignity and independence—has a more hopeful view. He concedes it will not be easy to build a better system but says anything will be an improvement. While a new approach to home care is evolving, industry experts advise people to do their homework—and be prepared for sticker shock. Stu Christensen, founding partner of Help at Home in Sarasota, says home care is fundamentally expensive. “A lot of people go with the cheaper caregiver—someone who says, ‘If they’re doing it for $22 an hour, I’ll do it for $20.’ But you get what you pay for,” Christensen says, adding that often a better trained, more highly paid caregiver can accomplish more in less time. While some elders have long term care insurance that covers home care, most pay out of pocket or rely—increasingly—on Medicaid, the government health program for low-income Americans. For the most part, Medicare only covers skilled nursing in the home—not services a family member could perform, like sorting medications or monitoring blood pressure. “I would say 50 percent or more of the clients who contact our office think Medicare will pay for everything,” says Annalise Smith, a regional director for the home health agency SeniorBridge. The 2012 national hourly rate for home health aides averaged $21, up 5.3 percent from the year before, according to the MetLife Mature Market Institute. In Florida the average was $18, ranging from a low of $13 to a high of $25 an hour. But a lot of this money goes to administrative costs—insurance, training, hiring and background checks—and the national average wage for an aide is $9.85. The rising demand for home health care has induced more people to become certified nurse assistants, including some who are not suited for the work. The Great Recession led to a multiplication of home health businesses that is confusing to consumers, most of whom have never sought such services before. Just as more Americans lost their jobs, the demand for elder care increased, drawing displaced workers and entrepreneurs into the market. Paulina Testerman, an independent home health provider for 20 years in Sarasota, has seen many clients “close their eyes and jump” into a caregiver relationship. The most they usually require, she says, is that she is bonded—insured against loss. “That really means nothing,” she says. “All that does is protect them from $10,000 worth of things I could steal. If you’re a good caregiver, you want people to check your references. Testerman says the rising demand for home health care has induced more people to obtain certified nurse assistant (CNA) licenses when they are not suited for the work. Paid workers take care of 35 percent of elders who need help and the percentage is rising. Little screening is done, which compounds the possibilities for fraud. Christensen advises families desperate to arrange safe home care to interview at least three reputable caregivers before picking one. Along with variable levels of skill, says attorney Ira Weisner, comes a heightened opportunity for elder fraud. Weisner, who has spent 30 years practicing elder law in Sarasota, sketches a typical scenario in which a trusted, and much-needed, caregiver easily becomes closer to the client than his or her relatives are. From there, he says, it’s a short transition to an interdependent relationship where a caregiver can cross the line into financial or emotional exploitation. Family caregivers can be just as open to temptation, Weisner says. But the share of elders who depend on paid assistance is at 35 percent and rising—and the job opportunities in home health for workers with limited educations and little screening compound the possibilities for elder fraud. Chernof, of the SCAN Foundation, believes a well-designed, national, home care network will require a new approach that doesn’t come naturally in a traditional, top-down medical culture. Florida is one of the few states to require certification for home caregivers. A pilot project in six other states, funded by the Affordable Care Act, is testing a training program for personal care aides that would go beyond that minimal start. 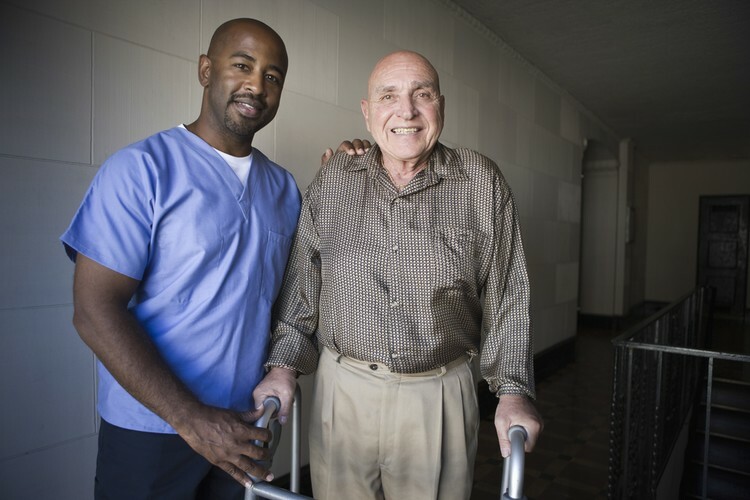 “The purpose was to see whether, as a country, we can establish a gold standard for long term care at home,” says Dorie Seavey, director of policy research for the Paraprofessional Healthcare Institute (PHI). Seavy says the results so far are encouraging, because the new training programs are based on what works best for adult learners. Seavy acknowledges that a better-trained home care work force may be more expensive. But she believes it’s an investment worth making. Paying workers more would not only stabilize the work force, Seavy argues, but also save taxpayers money. Reducing the turnover in home care aides would improve care because it’s better for a patient’s health to have the same person there consistently. Some $6 billion a year is spent on direct care, Seavy says, but that “includes the cost of recruiting and hiring and training replacement workers.” Reducing turnover would also improve care, she argues—because having the same caregiver over time leads to better health outcomes for patients. Nicci Kobritz, owner of Youth Aging home health, says her Sarasota clients value that consistency. Many of her recent hires, Kobritz says, are baby boomers who have experience after caring for their own parents. Seavy, the economist for the health care institute, says workers who are semiretired could prove to be a real boon for the home care revolution. ← The Home Care Revolution: Are Robots the Answer?